As expected, Microsoft took the wraps off a new browser today. 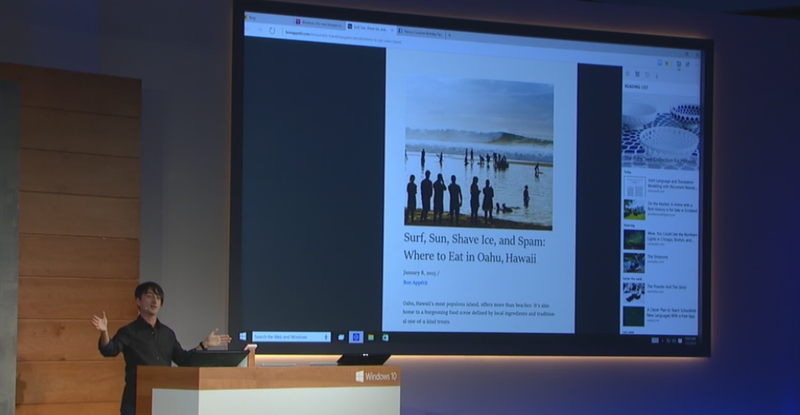 It will feature a new rendering engine “that will empower our next generation of Windows users on Windows 10,” Joe Belfiore, Microsoft’s Corporate Vice President for its Operating Systems Group, said at today’s event. The new browser, which is unsurprisingly codenamed “Project Spartan,” will sadly not be in the next preview build of Windows 10 and it remains unclear when developers and users will get their hands on it. Microsoft also didn’t talk about any of the technical details of the new engine at its core. Spartan will include reading lists (think Pocket in your browser), a distraction-free reading mode and a built-in PDF viewer. It will also include support for Cortana. This means the browser will know about your upcoming flights, which will pop up right in the browser’s search bar. Cortana will also show additional information about the sites you’re browsing. Say you’re looking at a restaurant, Cortana will pop up and show you directions and let you book reservations. 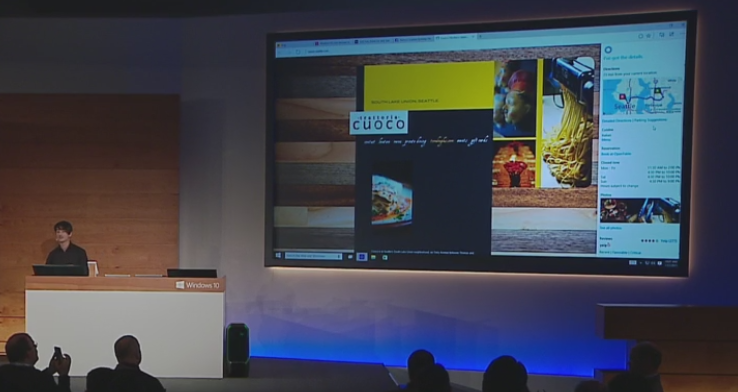 Project Spartan’s tabs will sit on top of the browser and feature small previews of the sites that are running in your tabs. “The focus is on the content on the page,” Belfiore said. 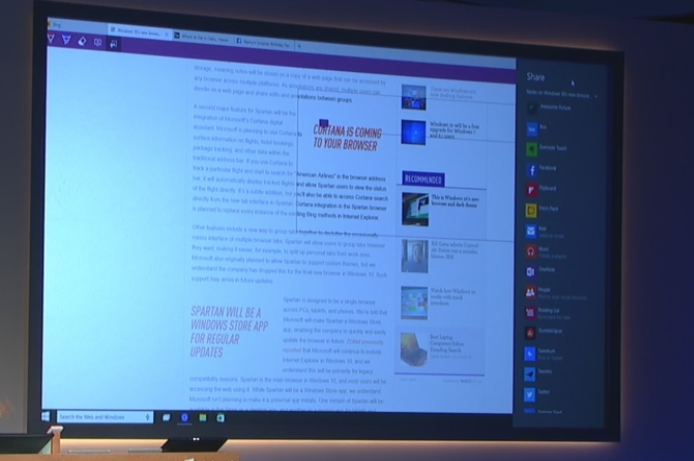 The design of the browser clearly aims for simplicity, but Microsoft didn’t show features like the bookmarks experience and other details, so we will have to see what those details look like once we get our hands on a build that includes Spartan. Globally, Internet Explorer currently accounts for about 58 percent of all online visits, a number that has held stable for about the last year and is actually up a bit from two years ago (when it was down to 55 percent).